Recently, my publisher Sheaf House and I decided to launch out into the world of audio books. 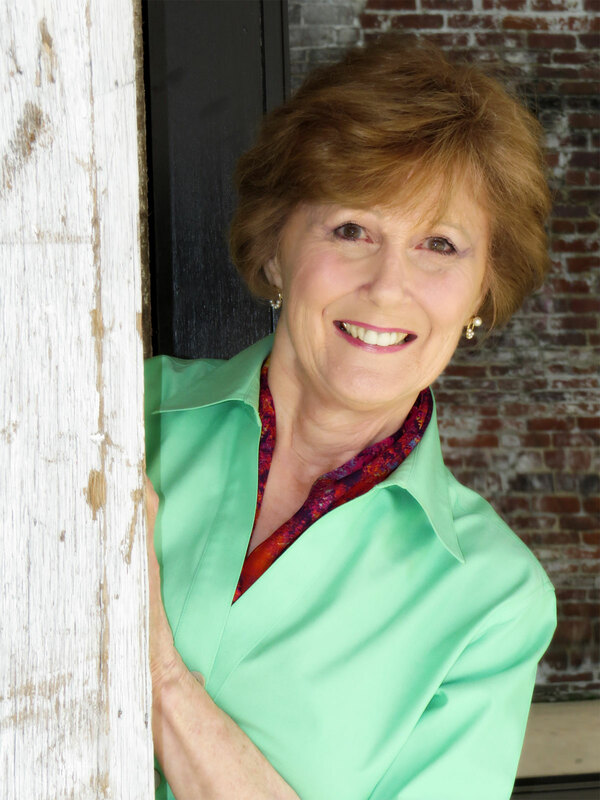 The first of my Miss Prentice mysteries, Irregardless of Murder, was just recently released in Amazon Audible and I'm about to introduce you to the very talented woman who recorded the entire book: Sheila Stasack. EEK: Sheila, we met through ACX, Amazon’s audio book service. Have you been doing this for very long? SS: I’ve been doing books through ACX for about four years. 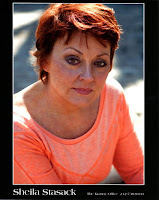 Prior to that, I have worked in voice-over for about 30 years. EEK: What kinds of books have you recorded? What genres are your favorites? SS: I’ve done a variety of books: mysteries, romance, how-to books (e.g. Puppy Training), and several books on yoga and spirituality. I’ve been told my voice can be very soothing, so I enjoy doing books that require a gentle approach. Then again, who doesn’t want to be part of a fun mystery? EEK: Do you have your own home studio or do you record elsewhere? SS: I have a small home studio in what used to be my front closet. It works very well for recording, but there is no ventilation, so I have to limit my recording time in the summer or record late at night when the weather is coolest. EEK:You’re a very good actress. Do you have a background in drama? SS: I have been involved in theater or performance since I was three. I do theater and some TV. I have a movie, Love in Kilnerry, in post-production right now which I hope will come out by the end of the year. I also teach acting. Right now I’m working with children, ages four to eleven. EEK: Where are you from? Are regional accents a challenge? SS: I’m originally from Chicago, then lived in Boston for several years, and now I’m a New Yorker. I’ve always had a pretty good ear for regionalisms. Also, I had an excellent teacher in high school who helped me lose my Chicago sound. EEK: In my book, Irregardless of Murder, you do all kinds of foreign accents, including Scottish and French. How did you learn to do accents so well? Do you speak French, for instance? SS: I studied French in high school and since that time I’ve gained a cursory knowledge of several other languages. I think it’s polite when you travel to be able to say please, thank you, and a few other things in the language of the country you are visiting. It helps when you are adding an accent to a piece. Also, you only want to add a suggestion of an accent in an audio book. If you go too far, it will be hard to understand. EEK: Have you ever considered writing yourself? SS: Several people have asked me why I don’t write my own material. I don’t think I have anything to say that would add to the world conversation. I am very happy to interpret the words of others. EE: Is this your main career or a sideline? SS: Theater, voiceover, audio books and TV would be the only thing I did if I had my way. Like any of the arts, it rarely pays all the bills. I also teach acting, and have worked a little in real estate. EEK: Your voice is your instrument. Can you tell us ways that you take care of it? SS: About twelve years ago I lost my voice. I was in Russia doing The Seagull and I caught a cold. Not enough sleep, cold weather, and the stress of traveling in a foreign country did me in. I was on vocal rest for three weeks and it scared me. A voice actor with no voice? I try to get enough sleep, eat healthfully, and not get sick! I also try to use my voice correctly, supporting it even when I’m cheering at a baseball game. Lots and lots of water, too. EEK: Can you tell us something about yourself that might surprise us? SS: I think the most surprising thing about me is how normal I am. I have three grown sons and was a soccer mom for many years. Now, I’m loving my time in New York as a single lady. Two of my sons live nearby, so I’m still mom. EE: Thanks so much, Sheila. It's been a pleasure to interview you! Please comment below and leave your EMAIL ADDRESS to be in the drawing for an audio copy of Irregardless of Murder, read by Sheila. I can tell you, it's very entertaining! She even had me laughing at the jokes I wrote myself and shivering at the scary parts! Patricia Bradley here, along with my computer writing partner, who doesn't have a name. Maybe that's something we'll take care of here on this post. Anyhoo, my partner and I were talking today, and it occurred to me that the Suspense Sisters readers might like to see what goes on behind the scenes. Computer partner: Let’s talk romance. Me: I’d rather not. How about suspense. Computer: What? You don’t like writing romance? Me: No—yes. I mean, it’s easier for me to write suspense. Romance is hard! Computer Partner (rolling its eyes—it does that a lot): Come on, it’s not that hard. You already have your hero…and your heroine. All you have to do is keep them from getting together while they’re trying to make sure the antagonist doesn’t kill them. Me: You make it sound so easy. I’m not sure how I’m going to keep them apart when they’re on the run together. Computer Partner: But that’s a good thing. Now your readers will wonder if the hero gets the girl? 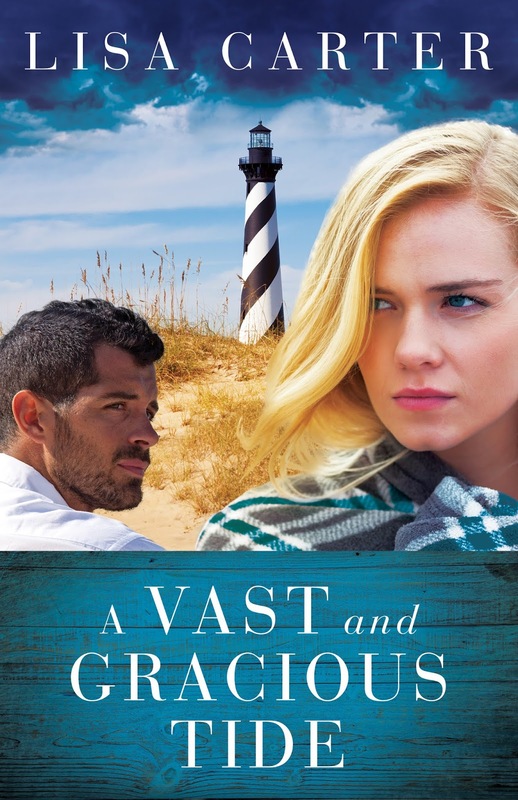 Will he be able to overcome his fear of commitment in time to win her heart? Will the heroine trust the hero, especially after he breaks her heart? Besides, you have that really cool guy who’s also trying to win her heart. Me: Well, yeah, and lately I actually like him better than the hero. Computer partner: No, you know as well as I do she’ll make the right choice. Besides, your hero is the one who will save her from the bad guy—you know, the villain. Tell me something, what's the difference between a villain and an antagonist, anyway? Me: Do you know what time it is? It's almost eleven, and too late to get into that tonight. Computer Partner: I bet our readers would like to know the answer to that one. Me: Maybe I’ll write about antagonists and villains in my next post for the Suspense Sisters, and Computer Partner, you can hop over here next month and read it. Computer Partner: I don't have to...unless you're planning on using a different computer to write it with. That's what this is all about, isn't it? You're breaking up with me. After all I've done for you! Okay. 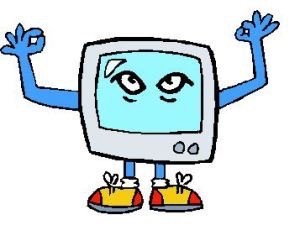 I really do think Computer Partner needs a name. Leave a comment with your suggestions, and I'll enter you in a drawing for my latest book, Justice Betrayed! 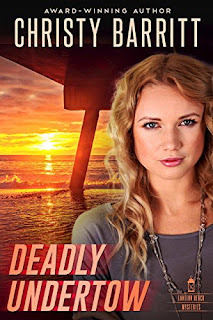 This week the Suspense Sisters is featuring Deadly Undertow by Christy Barritt! You can purchase Deadly Undertow at Amazon for $.99! WELCOME COZY DEBUT AUTHOR, VIVIEN CHIEN, ALONG WITH A GIVEAWAY! Today, Suspense Sisters introduces a brand, new cozy author, Vivien Chien, with book one of the Noodle Shop Mysteries, Death by Dumpling. Please leave a comment for Vivien at the end of the interview for a chance to win a signed print copy of her book. 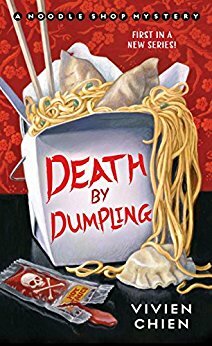 But first, here's a little bit about Death by Dumpling: The last place Lana Lee thought she would ever end up is back at her family’s restaurant. But after a brutal break-up and a dramatic workplace walk-out, she figures that helping wait tables is her best option for putting her life back together. Even if that means having to put up with her mother, who is dead-set on finding her a husband. Lana’s love life soon becomes yesterday’s news once the restaurant’s property manager, Mr. Feng, turns up dead―after a delivery of shrimp dumplings from Ho-Lee. But how could this have happened when everyone on staff knew about Mr. Feng’s severe, life-threatening shellfish allergy? Now, with the whole restaurant under suspicion for murder and the local media in a feeding frenzy―to say nothing of the gorgeous police detective who keeps turning up for take-out―it’s up to Lana to find out who is behind Feng’s killer order. . . before her own number is up. 1. Are You There God, It’s Me, Margaret by Judy Blume - This book was such an influential piece of work to me growing up. It stuck with me and I still reference it today. 2. Charlie and the Chocolate Factory by Roald Dahl - I LOVED this book and wished so many times that Willy Wonka was a real person. 3. Claudia and Mean Janine (The Babysitters Club) by Ann M. Martin – This was the first time as a child that I read a book featuring an Asian-American character and I remember thinking I’d struck gold when I found it. 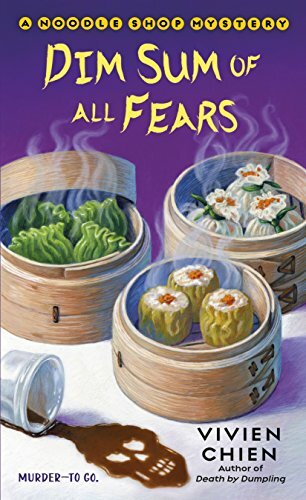 On the flip side, the best compliment I’ve received was from a few Asian-American women who thanked me for writing the Noodle Shop series and creating an ethnic character they could relate to in the mystery genre. There are only a few us who have stories featuring Asian-American characters and I had no idea how little the number actually was. I’m proud to be one of the people to contribute to the demographic. My main goal when beginning Death by Dumpling was to write an enjoyable story with likable characters. I had no idea that Lana Lee would be someone people were searching for. That makes this series all the more special to me. 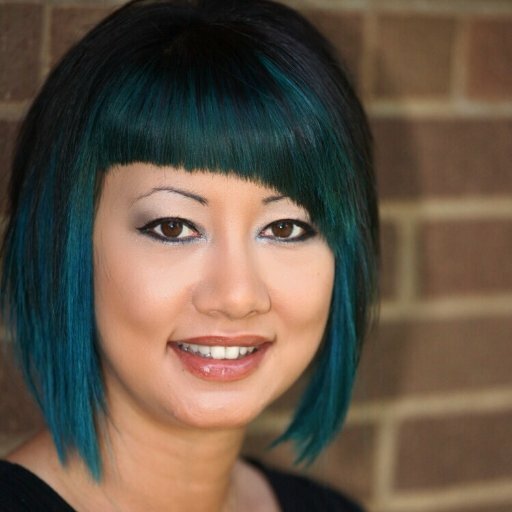 Here's a little about the author: Vivien Chien first started writing simple stories about adventures with her classmates when she was in elementary school. As she grew up, her love of books and the written word increased, leading to the attempt of her first novel at age 16. After many struggled beginnings and several different genres, she found her passion in the mystery world. When she’s not writing, she can be found frolicking in the bookstore or searching for her next bowl of noodles. She has a soft spot for doughnuts, a healthy love for coffee, and an extreme need to participate in random acts of crafting. 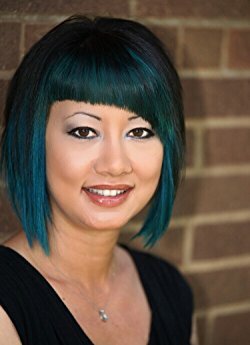 She currently lives in Cleveland where she is hard at work on the next book in her Noodle Shop series and writes side-by-side with her toy fox terrier. Please leave Vivien a comment for a chance to win a copy of Death by Dumpling. Please note: You MUST leave your email address and US only. 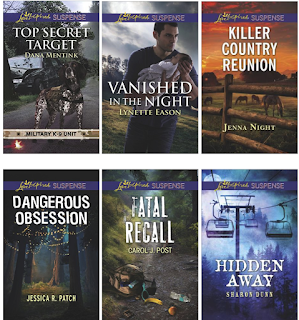 ANNOUNCING THE SUSPENSE SISTERS SUMMER CELEBRATION! All you have to do is stop by our blog to enter our contest. 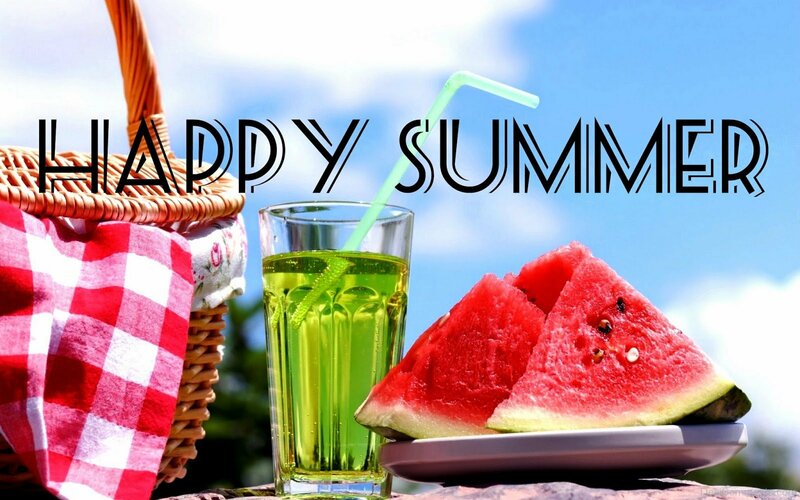 We'll also be posting some fun summer stories and recipes. The Suspense Sisters want to add to your "fun in the sun" so visit us on July 2nd for all the details - and to enter to win! 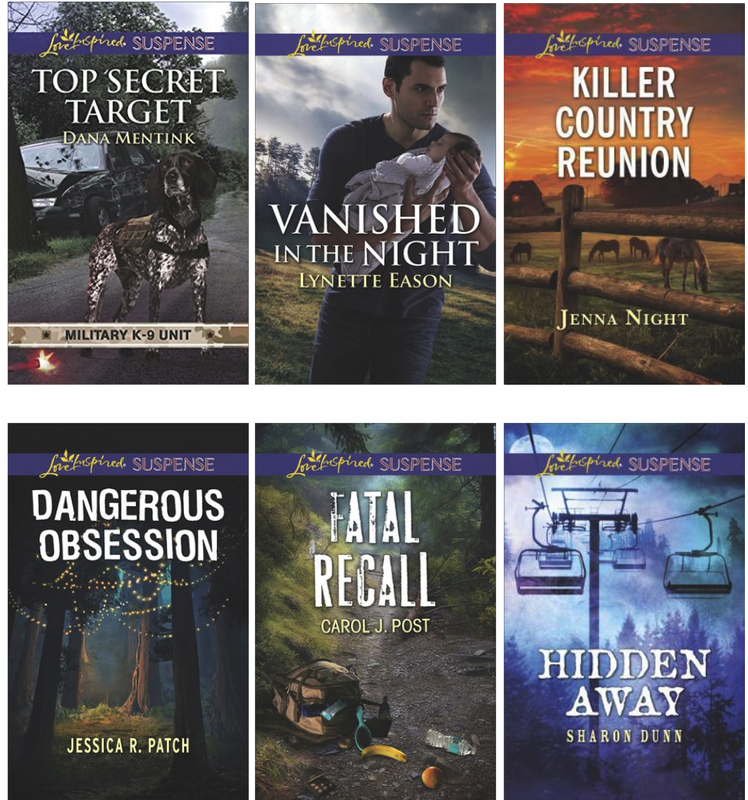 This week Suspense Sisters is featuring six releases from Love Inspired Suspense! Be sure to check these awesome books out! Labels: Love Inspired Suspense, suspense sisters, What's Hot in Inspirational Suspense and Mystery? Wednesday Nancy Mehl will announce an exciting summer giveaway! Stay turned for more information! On Friday, we’ll introduce you to a new cozy mystery author. Don’t miss our interview with Vivien Chien. 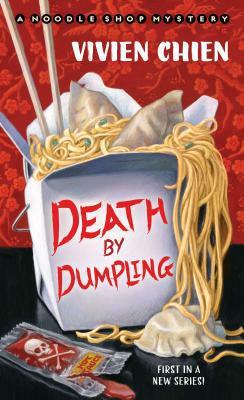 You could win a copy of her book, DEATH BY DUMPLING. her family’s restaurant. But after a brutal break-up and a dramatic workplace walk-out, she figures that helping wait tables is her best option for putting her life back together. Even if that means having to put up with her mother, who is dead-set on finding her a husband. 1. Lisa, can you tell us a little bit about your journey as a writer? 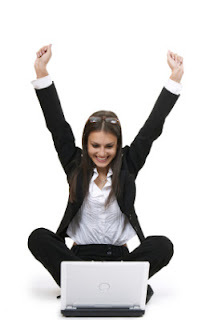 Thanks so much for hosting me today on your blog. As a teenager, I wrote stories to entertain myself, and the habit continued into adulthood whenever I had spare moments. During my children’s baby years, naptime was writing time for me. I see that period in my life as a time of honing my craft. I have always been drawn to writing inspirational fiction. I am more recognized for my romantic suspense, but I also have written two series of contemporary romances for Love Inspired. What I love about Christian fiction is the hope we can offer in Christ Jesus. And the opportunity to not just entertain, but to further His kingdom in people’s lives. The writing journey for me has been a strange mix of sheer terror and absolute dependence on God every step of the way. Which for me is probably what He intended all along. 2. If you could go back in time and do something differently in your writing career, what would it be?Actually, I’m not sure I would change anything. From the beginning, this journey has been so all God. He opened the door to my first contract, and I’m about to write my twenty-first novel. It’s been like a whirlwind, and I’m just trying to hang on. There have been been ups and downs, awards and setbacks, but I can see His purpose in all of it. It’s a total mess. I don’t encourage anyone to write the way I do. I’m not sure exactly how it even happens to tell you the truth. I get an idea, a character, a setting and/or situation. Sometimes, I get only one of these. I do a lot of thinking. A lot of research. I pray enormous amounts. And by the grace of God, somehow He helps me bring it all together and I meet my deadline. I love spending time with my family. I love to read. Writers were readers first. I used to make quilts. I’ve made over one hundred for family and friends, but now writing doesn’t allow me the time to make any more except for new babies in the family. And one more thing—I love to travel. There is some truth to the statement that I write books to feed my travel addiction. It’s kind of my job. I mean a writer has got to research, right? I am a classically trained vocalist. 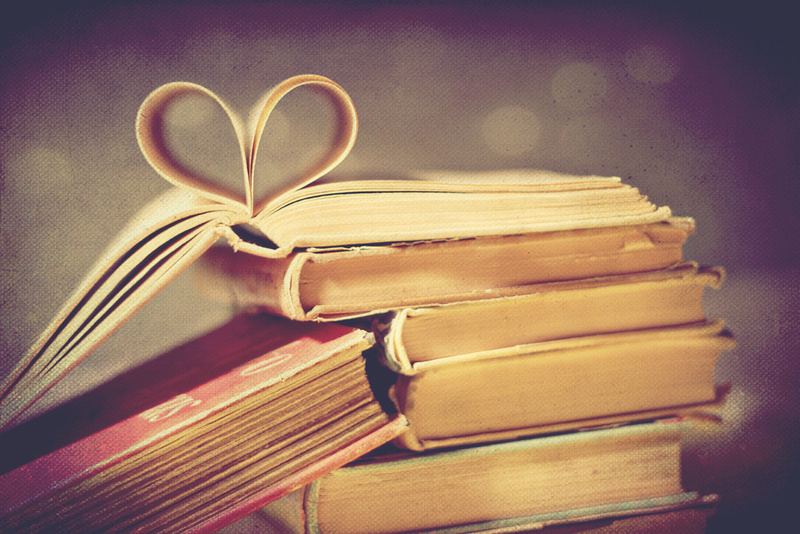 Read a lot. And not just in your own genre. Write every day. Writing is like a muscle. It gains agility with use, but can also become sluggish and atrophy if not exercised regularly. Attend the best conference you can afford every year. Writers are lifelong learners, and the writing community is a wonderful network of support at every stage in your career. Right now, I’m working on my next romantic suspense novel, The Sound of Falling Leaves, which will release in 2019. This novel takes readers to the other side of North Carolina, the achingly beautiful, yet hauntingly mysterious Blue Ridge Mountains. Stay tuned. When I became aware of the horrendously high statistic of veteran suicides, I was gutted. I began to think about what would cause someone so obviously heroic—so willing to give their life for others—to make the decision to end their own life after getting home. And I tried to understand why after overcoming so much, too many came home and lost the will to live. I thought a lot about the cost of war on a personal level. The price, the sacrifice, that these men and women paid on our behalf. Freedom is not free. I read about quilts of valor that are sent to wounded warriors at Walter Reed Hospital. So the idea came to me about what would happen if a recent amputee who’d lost the will to live received a quilt like that. The quilt would have given him a lot of comfort during grueling physical therapy sessions. And suppose at the end of all hope for a future beyond his injury, he decided to return the quilt to the quilt maker identified on the quilt label, express his gratitude and then end his life? An added inducement would be that the quilt originated on the Outer Banks of North Carolina and he’d never seen the ocean before. But what would happen if the old lady quilt maker he expected turned out to be a young woman grieving her own losses? Throw in a murderer on the loose and you have yourself a story. That’s what I do, after all, I kill people on paper. And you just know there’s got to be a happily-ever-after at the end. That’s where the romance comes in. People falling in love while dodging bullets. McKenna Dockery knows all about loss. 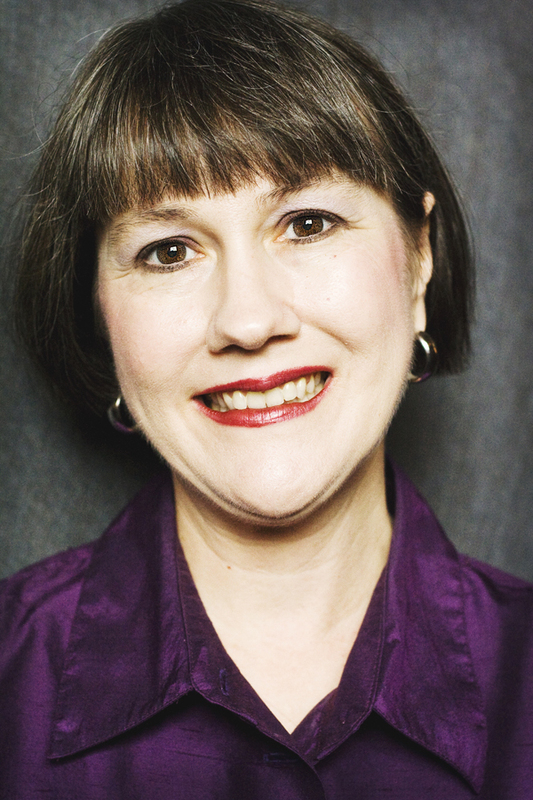 She juggles the family business, her ailing father, and an aging grandmother. Much to Caden’s surprise, she is the quilter—not some elderly lady. The quilt was something she’d begun for her future husband but shipped to the military hospital after the tragic death of her fiancé. Multi-published author Lisa Carter likes to describe her romantic suspense novels as “Sweet Tea with a Slice of Murder.” A Vast and Gracious Tide released in June 2018. The Stronghold won a 2017 Daphne du Maurier. Under a Turquoise Sky won the 2015 Carol Award. Beyond the Cherokee Trail was a 4 ½ star Romantic Times Top Pick. She also has two contemporary romance series with Love Inspired. Currently, she is writing her twenty-first novel set in the hauntingly beautiful Blue Ridge Mountains. Lisa enjoys traveling and researching her next fictional adventure. When not writing, she loves spending time with family and teaching writing workshops. A native North Carolinian, she has strong opinions on barbecue and ACC basketball.